There are two basic types of wash basins 1. One Piece Basin & 2. Top & Bowl ( Two Piece Set). One piece basin can be made from size of 21” x 24” to 36”x 72”. Glass thickness of 12mm, 15mm, & 17mm are mostly used.Individual bowl size can be in 14 ½ x 14 ½, 16×16, 12×12, & 14 x 21. In this 12mm glass are being used. Glass Wash Basin Mirror set can be made with customised color OR design preferences, it also can be made uniformly. 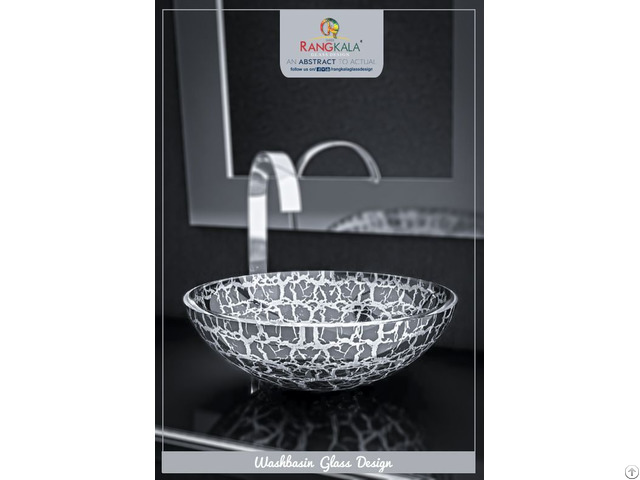 Glass Wash Basin Mirror set are in big time preference now a days as it adds elegance compared to ceramic basins. They can be fitted as common basin, Kitchen Basin, Dining Hall, and in master bedroom as well.